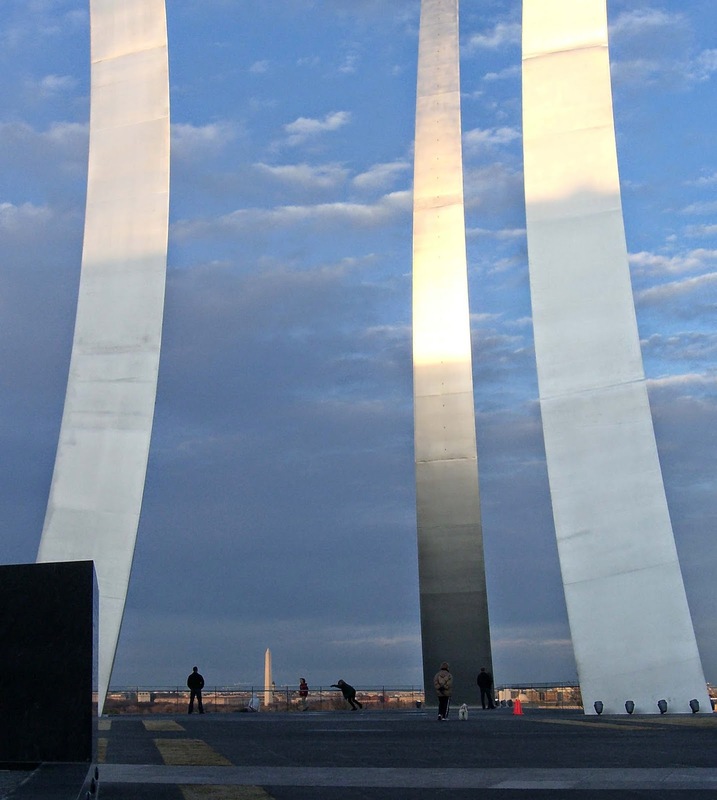 My annual contemplation of the Air Force Memorial has me resisting the urge to look up. This time, I am looking straight ahead, at how gracefully the bases of the three silver arcs frame the view of the Washington Monument. Triangles are everywhere, delineated in the paving and repeated in the pyramidal structure of the arcs. Those slightly curving upward lines are a fine counterpoint.